1. 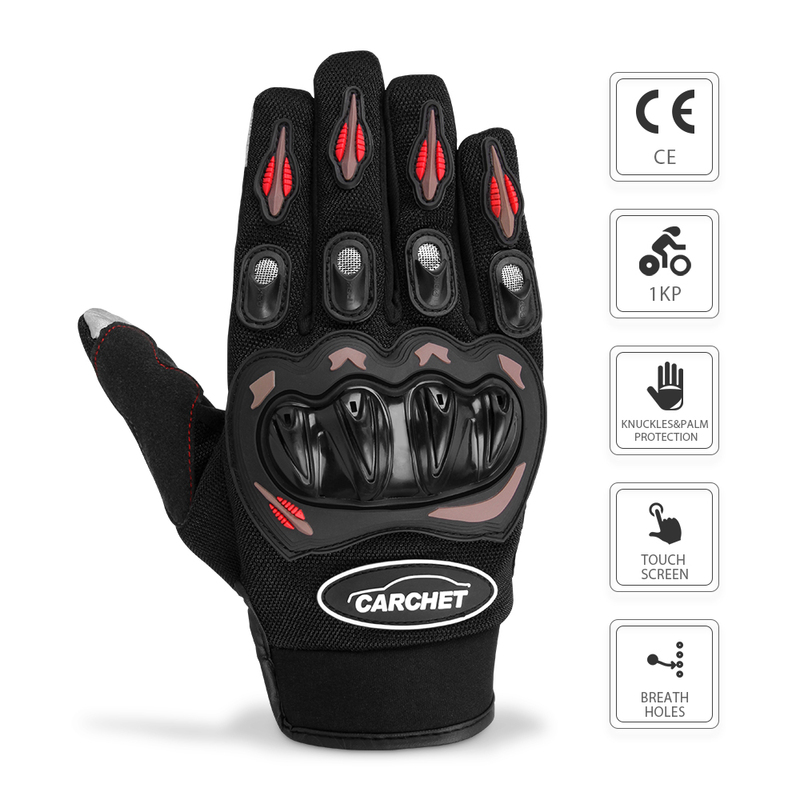 Hard shell protection: These motorcycle gloves meet ergonomic design while respecting aesthetics and safety. 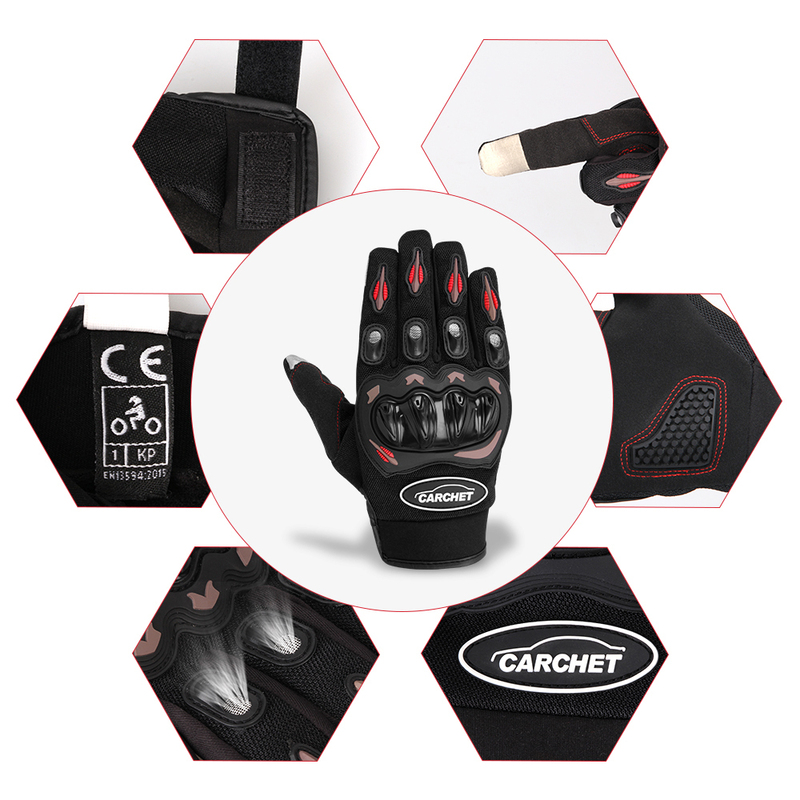 The case is made of solid carbon fiber, the fingers are equipped with anti-fall stickers, the back of the hand is with protective covers. 2. 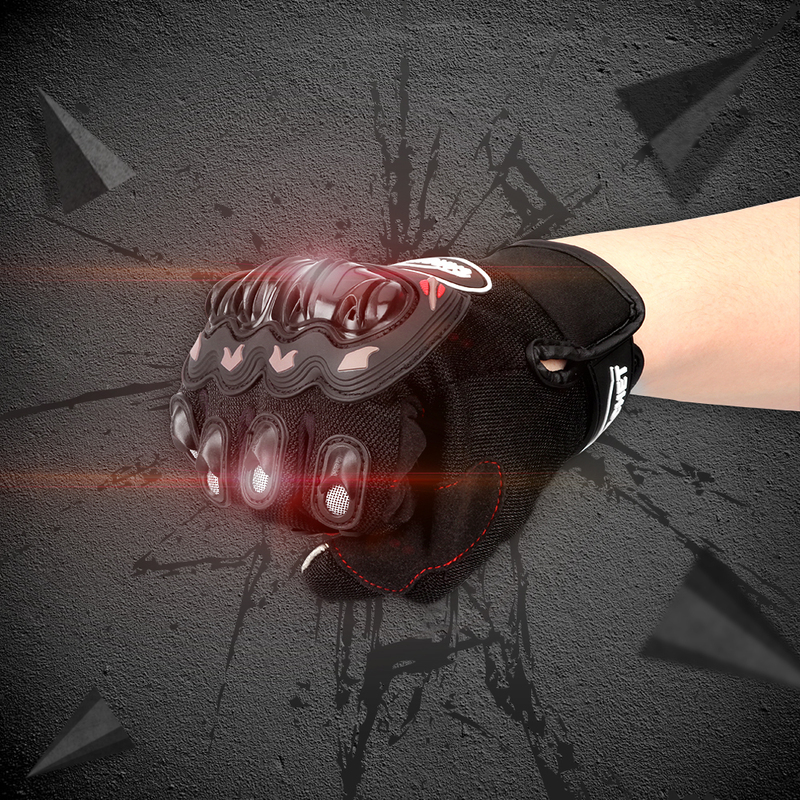 Consolidation Design: These cycling gloves can fully protect the palm of the hand from wear and collision. The simply worn out places like Handteller, Tabatière and Fingers. The back of the hand is made of velvet knitted fabric, very pleasant. 3. 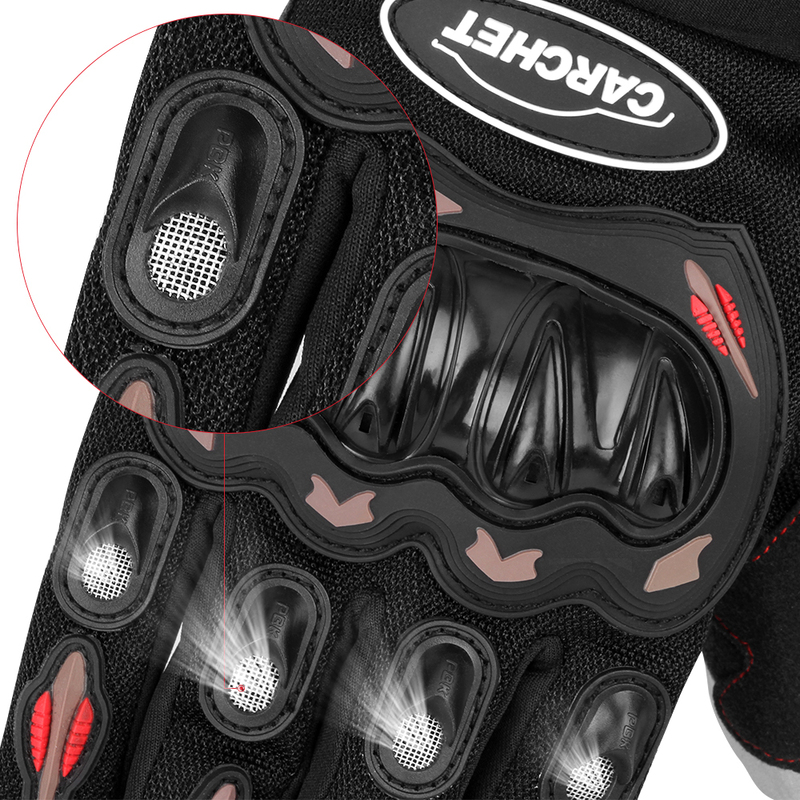 Breathable: You can wear gloves on motorcycling, cycling, etc. Sports. 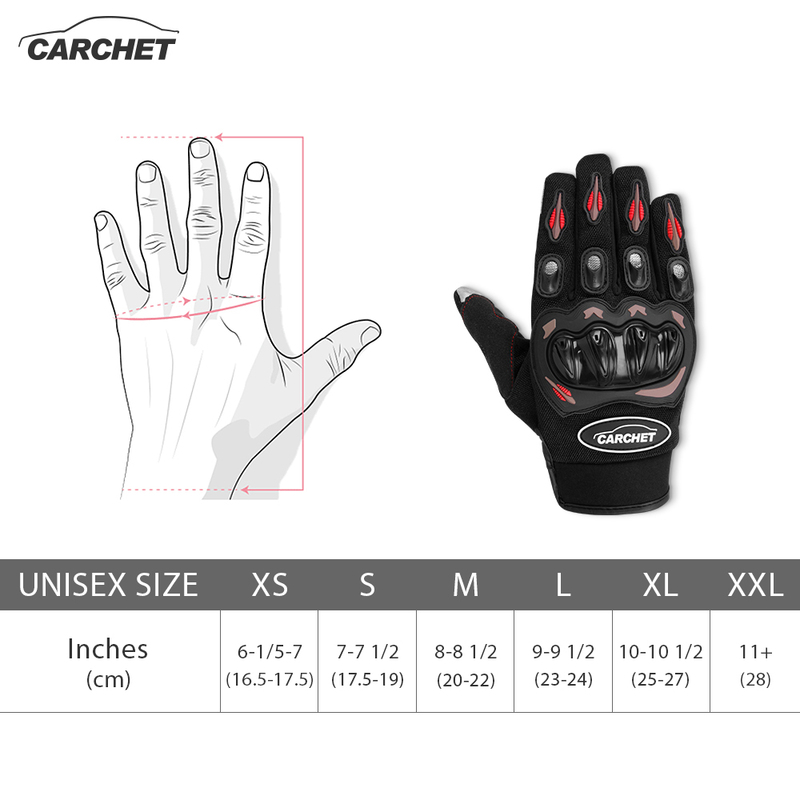 The ankle of these outdoor gloves is breathable. This is comfortable and cozy in summer. 4. 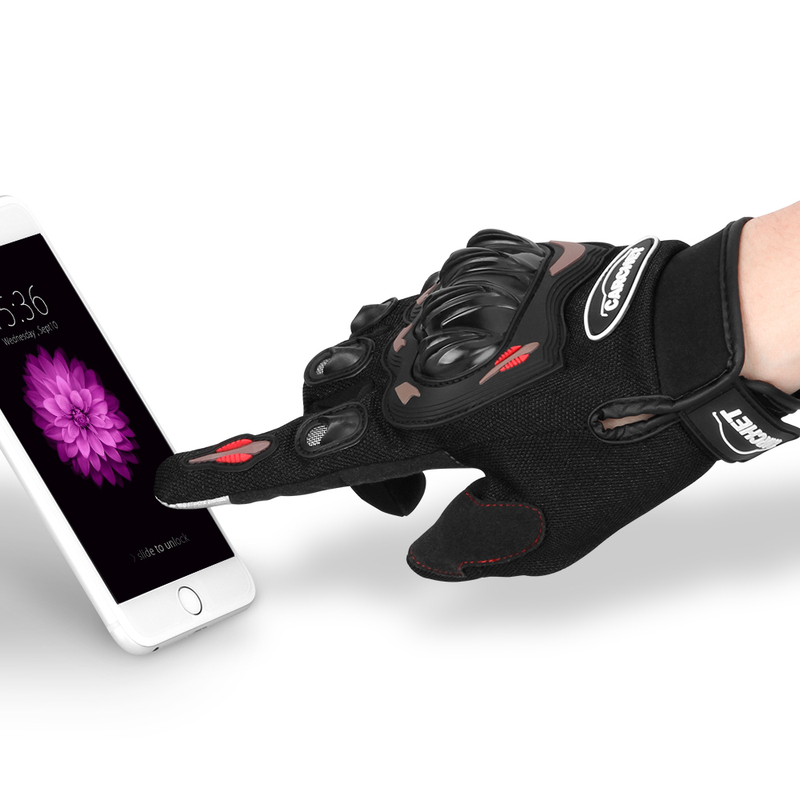 Touched fabric: The pointing finger and thumb of the cycling gloves is made of touched fabric, so you can answer your phone on bicycles without taking out your gloves. Very convenient ! 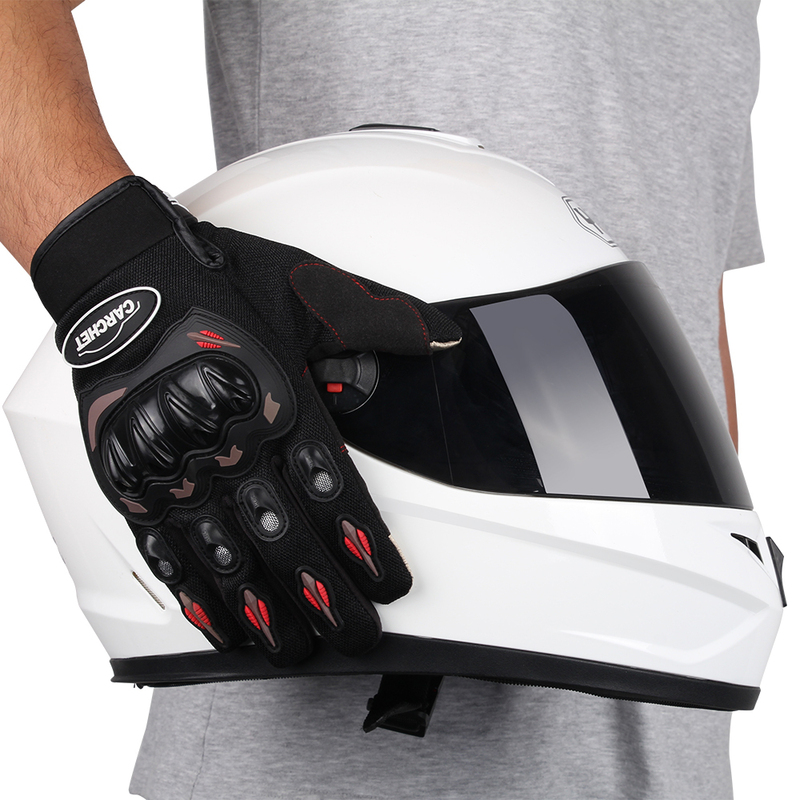 Ideal for many types of sports such as motorcycling, cycling, etc. Sports. Note: There is an error of 1 cm, due to our manual measurements.